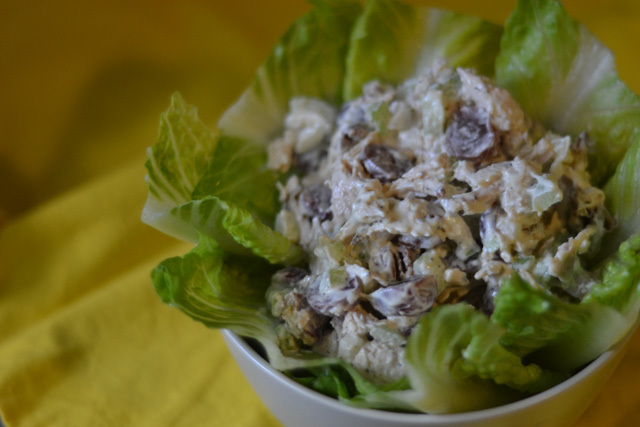 I personally think that chicken salad is a a great example of a perfect food. Smooth yet crunchy. Salty yet sweet. Lean and yet fattening as well. The textures and flavors made great for a great combination. 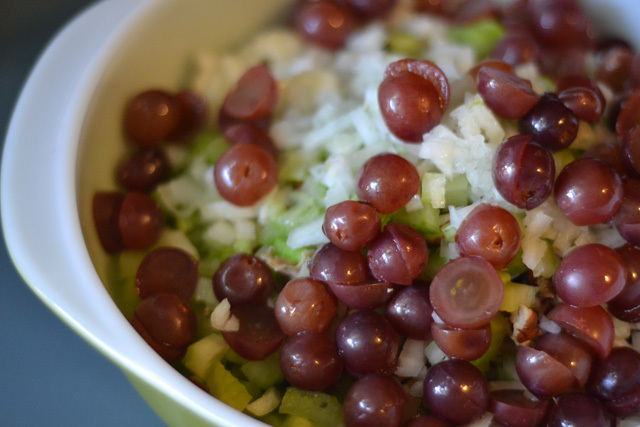 You have diced crunchy veggies,crunchy walnuts, and crisp grapes tossed together with moist chicken. If that was not enough all of that is held together with a creamy mayo. 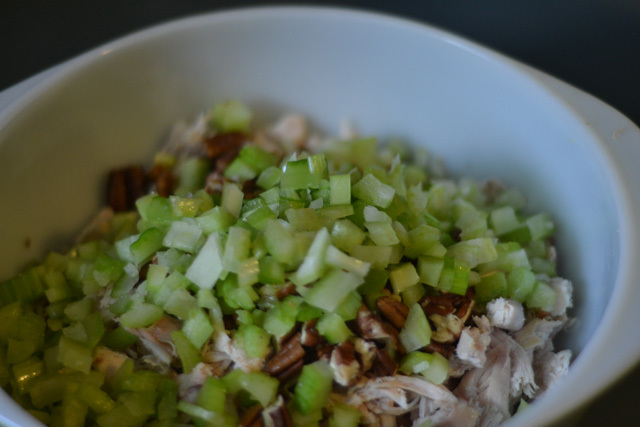 I really love Waldorf Chicken Salad but the apples throw me off for some reason. my favorite chicken salad is from Whole Foods. I love their Sonoma Chicken Salad, but my wallet doesn’t since it can add up quickly. I often think that the best way to get what you want is to combine favorites, like my donut muffins, which is exactly what I do here. I have some rules when it comes to making chicken salad. 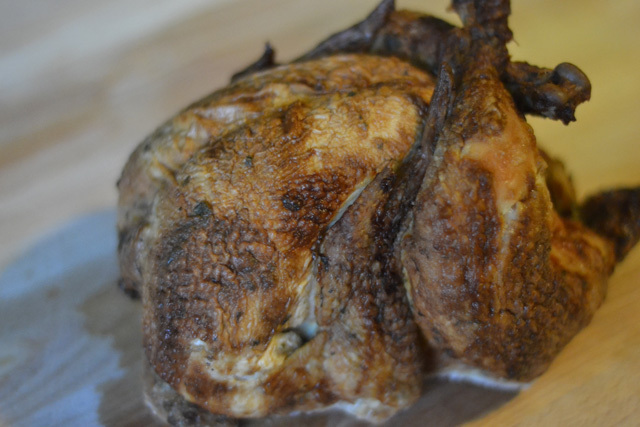 1- I always use a roasted chicken because the skin helps keep the chicken moist. 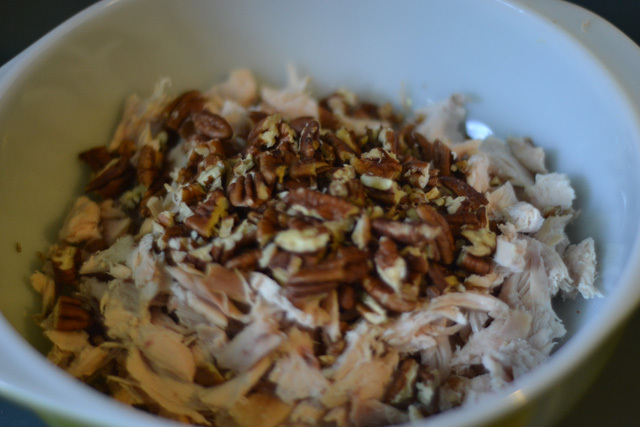 If I take the time to make a roasted chicken at home I always make 2 so that 1 can go towards chicken salad. Or if you happen to find a roasted chicken on sale, like I did, then use one of those. 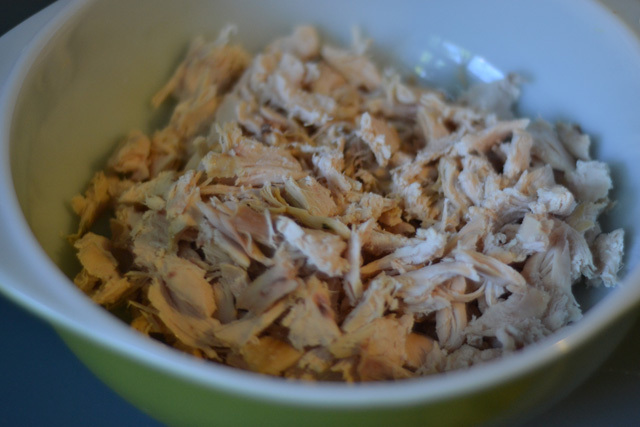 2- Shred the chicken. I think that this makes you much more careful about having consistently sized ingredients. If you chop up the chicken breast you can make the pieces too large and that is too awkward for a successful sandwich. 3- I always use Helman’s mayonnaise. Always. Once the chicken has completely cooled, remove the skin and set aside the pieces of meat. Shred the chicken by hand. 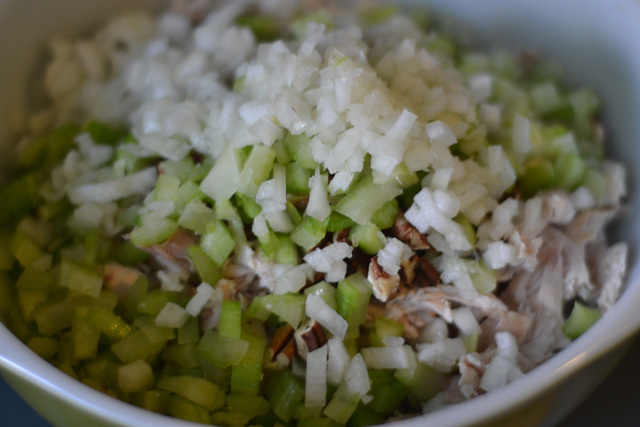 Combine together the chopped pecans, celery, onion and grapes. Lightly combine. 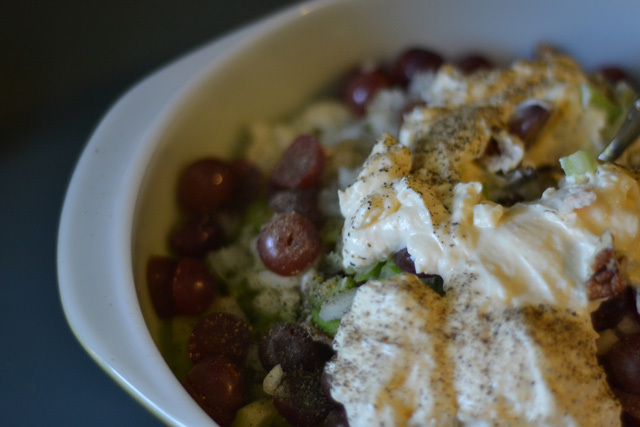 Add the mayo, mustard, and salt and pepper to the mixture. Combine so the chicken salad is evenly coated. Eat as a sandwich or with a salad. 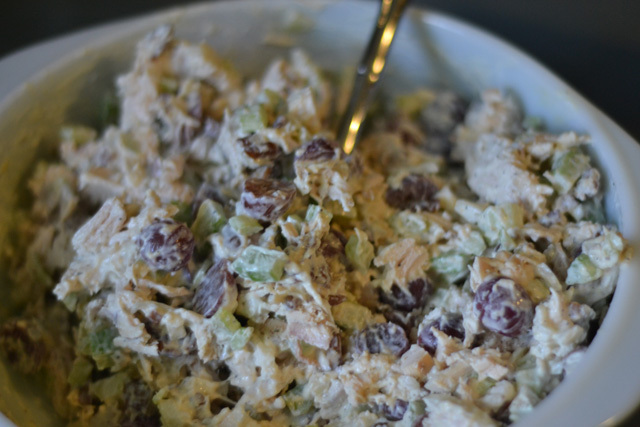 My husband is always on me about making chicken salad because he loves it so much. I need to try your recipe and the Whole Foods one you posted!